The picture of this Eastern Wood Peewee was photographed at Green-wood Cemetery in Brooklyn, New York. 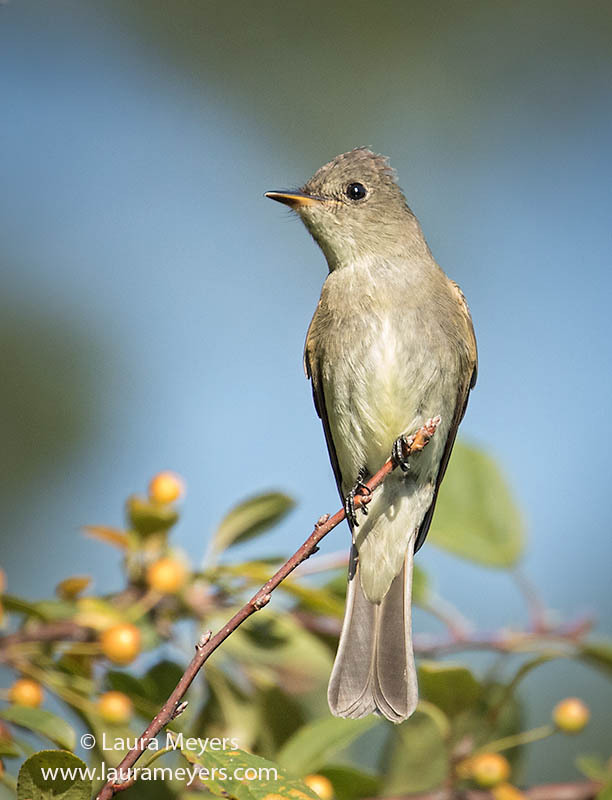 This Eastern Wood Peewee was photographed with the Canon 5D Mark IV and the Canon 100-400 II lens. The Eastern Wood-Pewee and Western Wood-Pewee have different calls but are nearly impossible to tell apart by eye. To hear the song of the Eastern Wood Peewee, click on the arrow below.